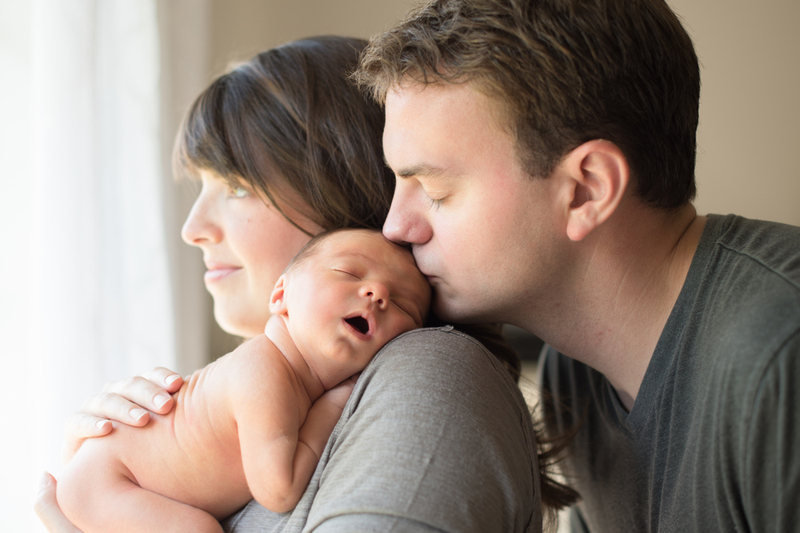 Newborn session are the longest, most physically taxing photo sessions that I do. I usually take a space heater, wear light clothing, pack a snack, and end up sweating and awkwardly hunched over sweet newborn baby for loooong periods of time. And I usually leave hungry and thirsty and ready to sleep for two days. BUT they are always some of my favorite session times with my clients! And I am always eager to photograph my next tiny person! I LOVE the extended time talking with new parents about sleeplessness and life-altering baby-love. For a brief time, I get to share in the JOY of welcoming a new person into the family. I get to play a small, yet timeless part in their story, and I get to witness the breathtaking beauty of life unfolding. The Backstrom family was no exception. They treated me SO well during their session, bringing me snacks and making sure I was comfortable... Weren't they the ones that just had the baby?? As I drove home from their session, tired and hot as usual, I was just SO incredibly thankful for the clients that the Lord has provided. I don't just have any clients... I have the most PRECIOUS ones imaginable.